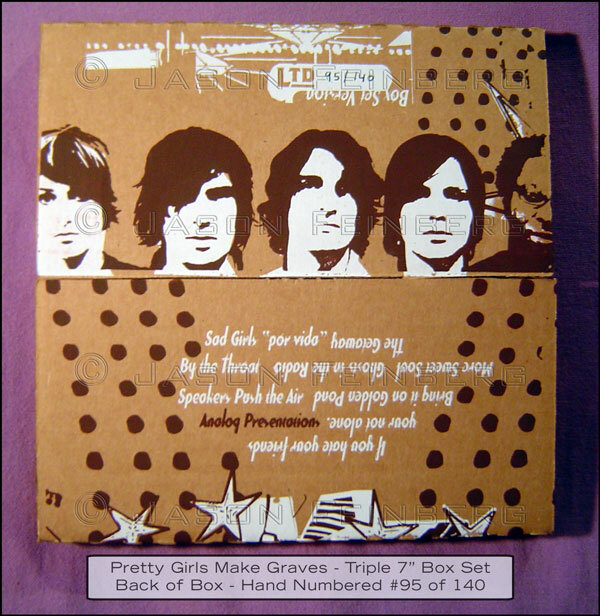 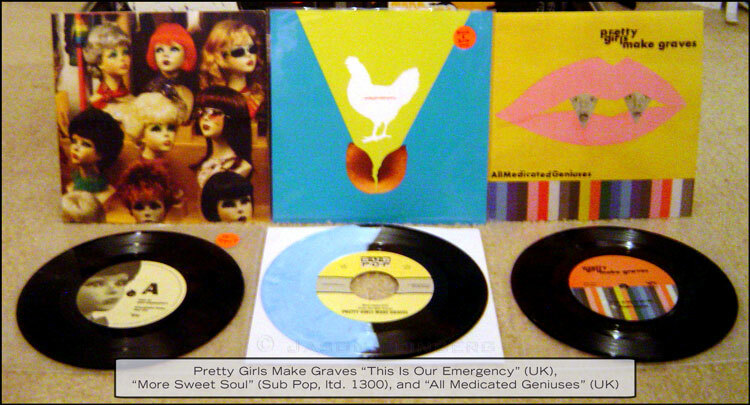 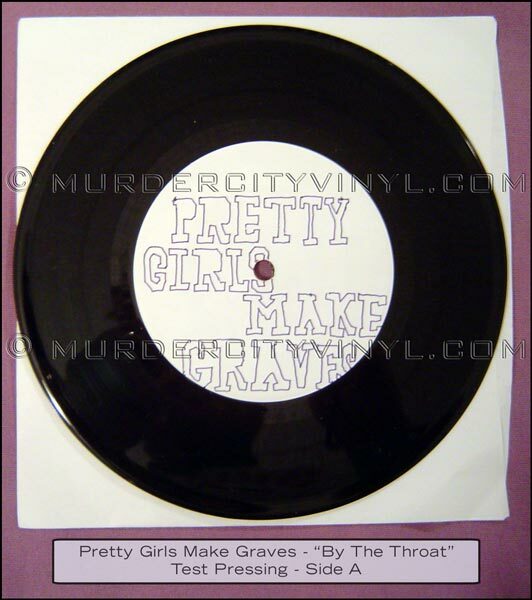 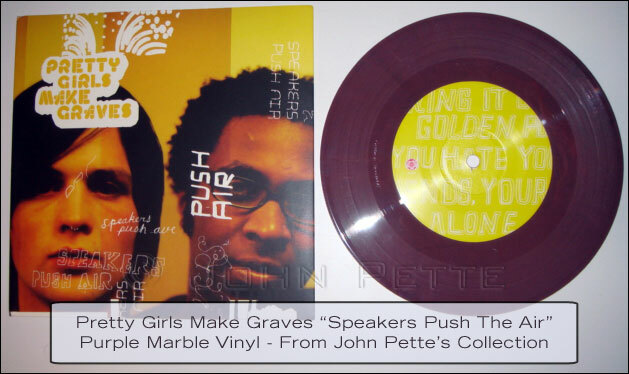 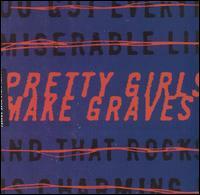 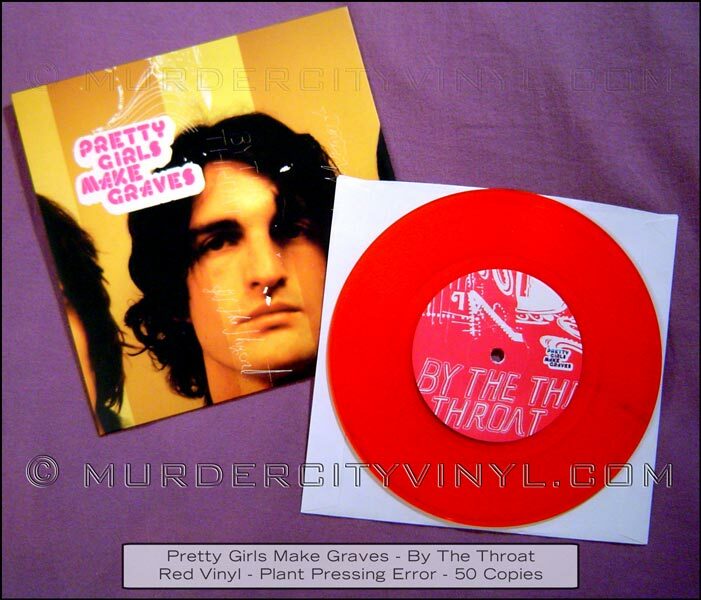 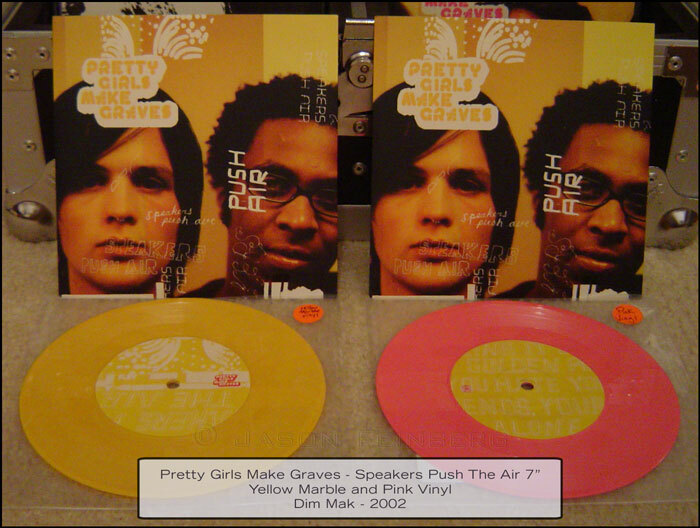 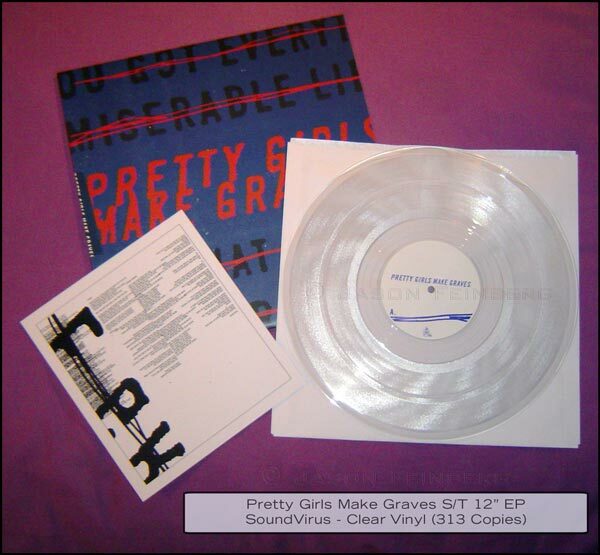 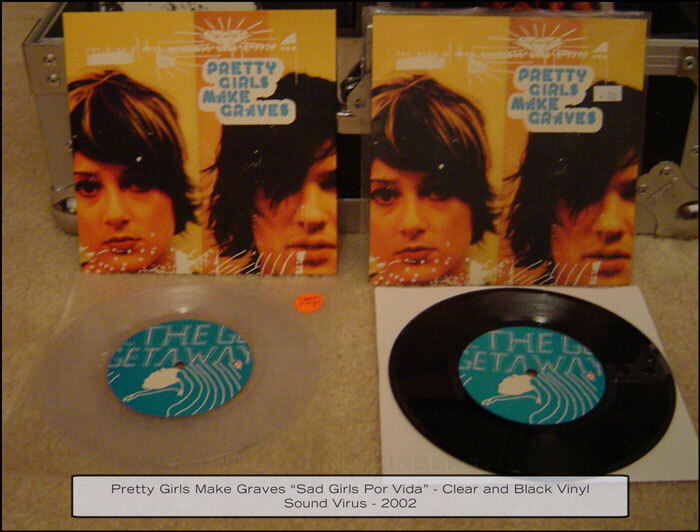 Pretty Girls Make Graves split up after the May 2007 tour. 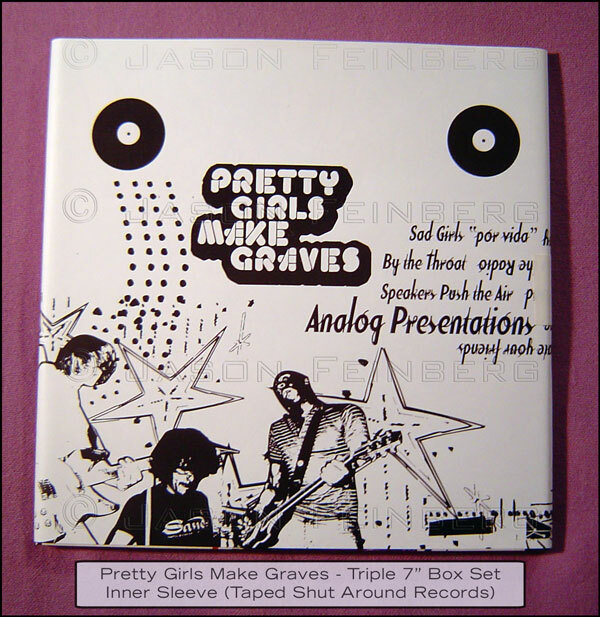 Cover: Hand numbered (140 Made), silk screened, closes with velcro, has inner sleeve wrapped (and taped) around the three individual record sleeves. 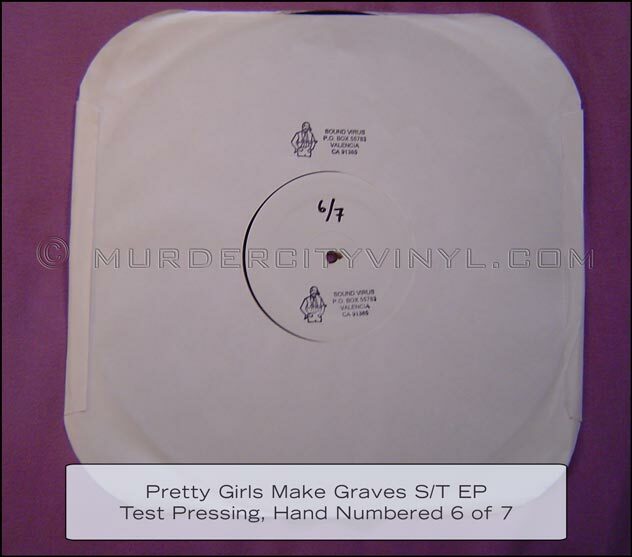 See each individual 7" below for more details. 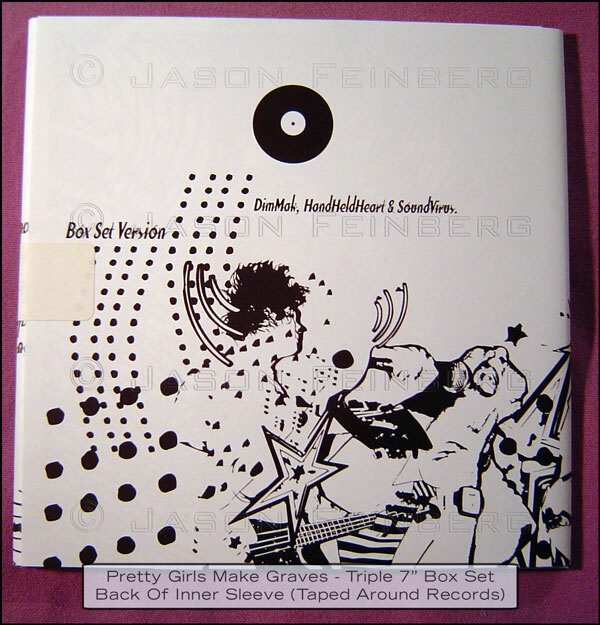 Cover: Full sleeve (closed on all but top). 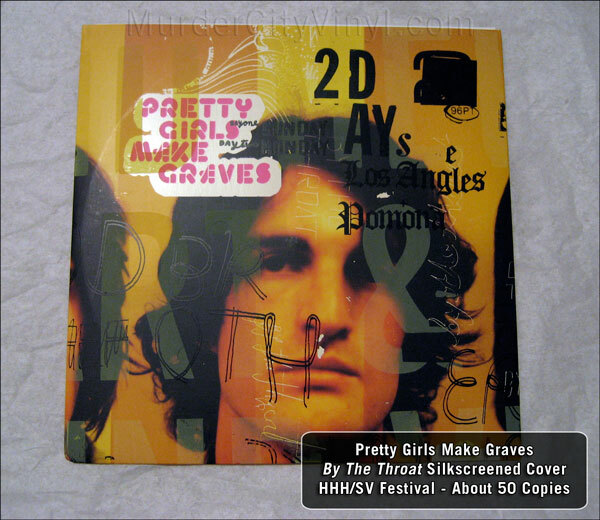 About 50 of the black vinyl covers were hand silkscreened at the hand Held Heart / Soundvirus Festival in 2003 and sold at the shows. 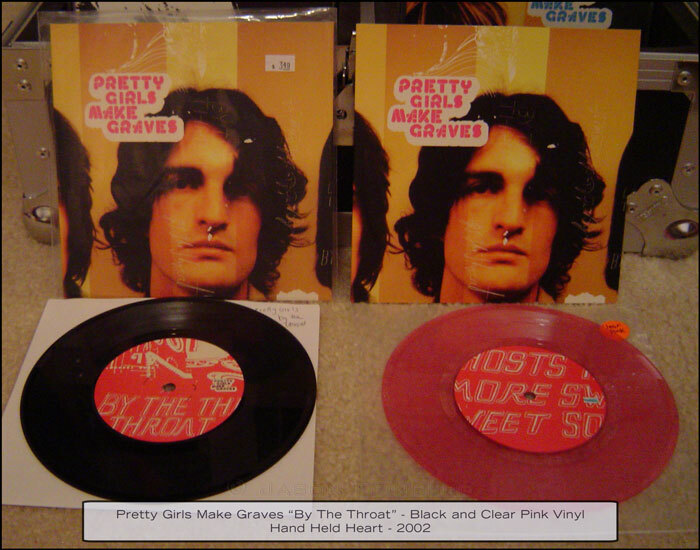 Side A: HHH#16 A P "The thing is..."
Cover: Full sleeve (closed on all but top). 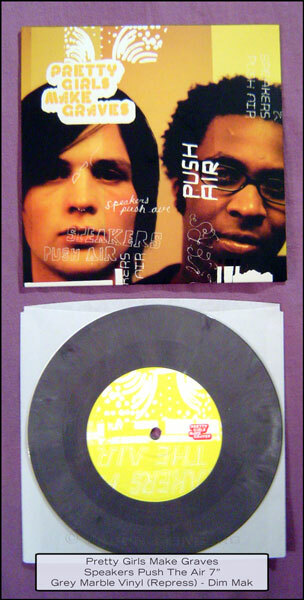 Dim Mak catalog insert. 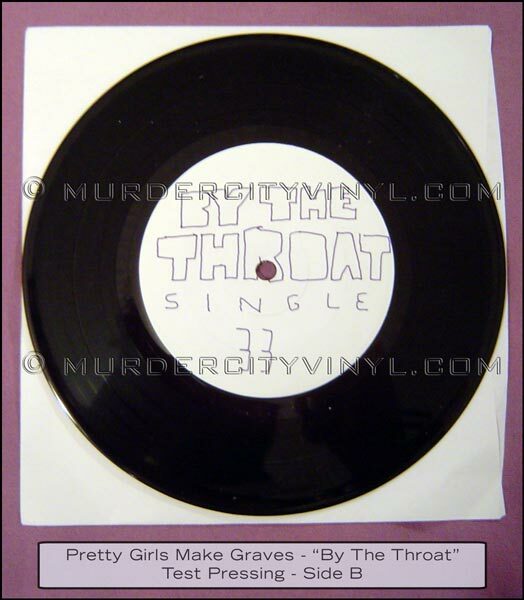 Recorded by Phil Ek. 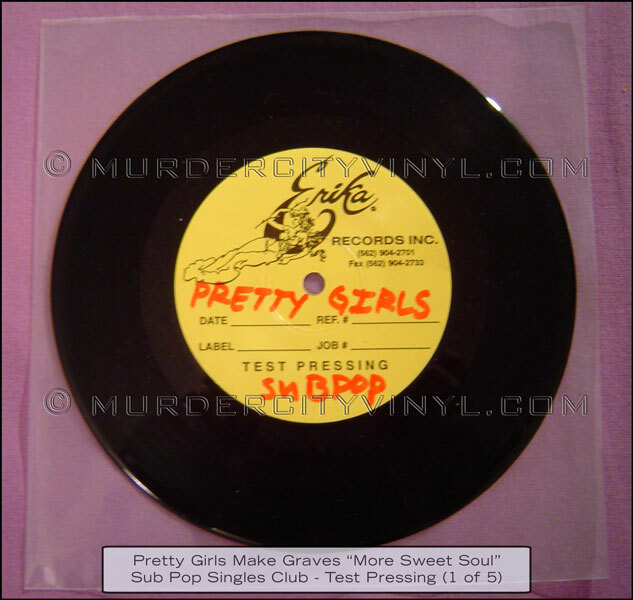 Photos taken by Steve Aoki. 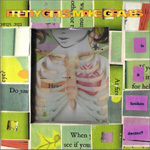 Video directed by Mike(y) Ott. 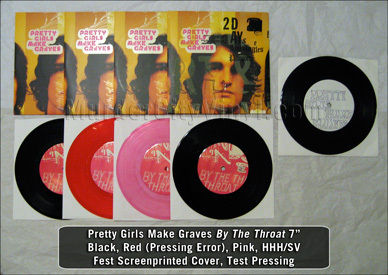 7"s and boxsets designed by Brian Roettinger. 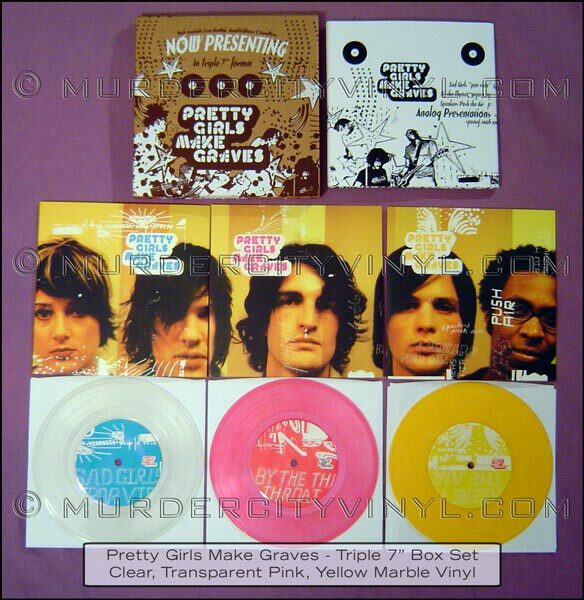 There was a limited press of 300 on opaque yellow vinyl. 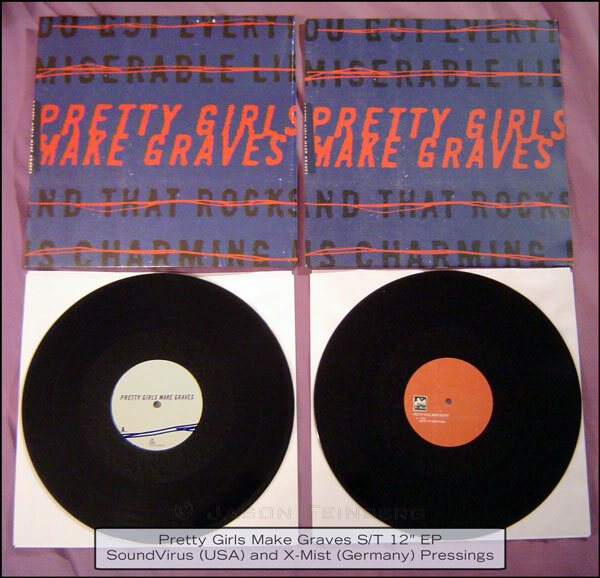 140 in part of a three seven inch boxset screen and produced from Sound Virus, Hand Held Heart and Dim Mak. 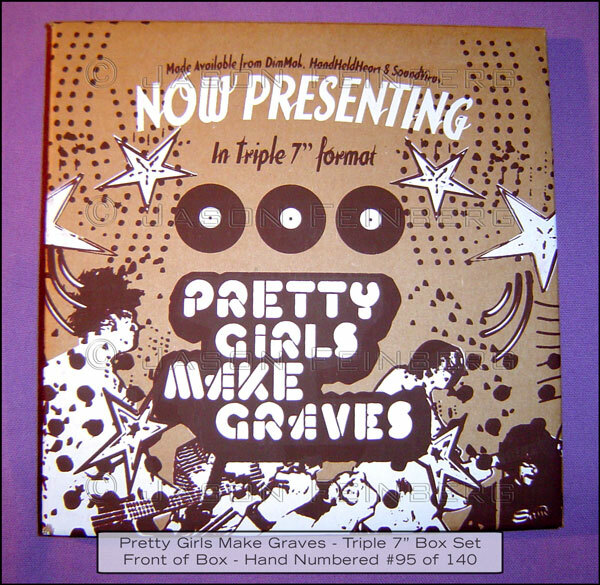 The boxsets are all sold out and gone.